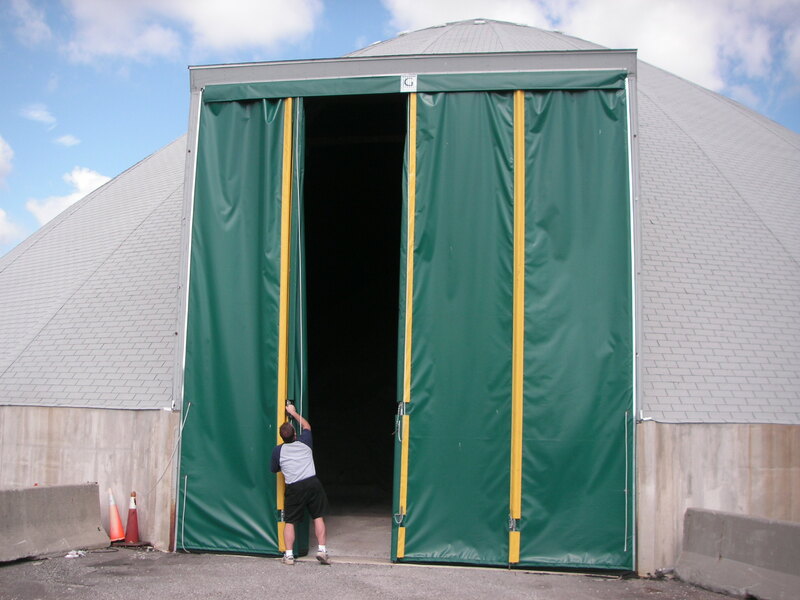 The Gateway Salt Storage Door is designed to eliminate intrusive birds from coming into your facility and causing unnecessary damage. 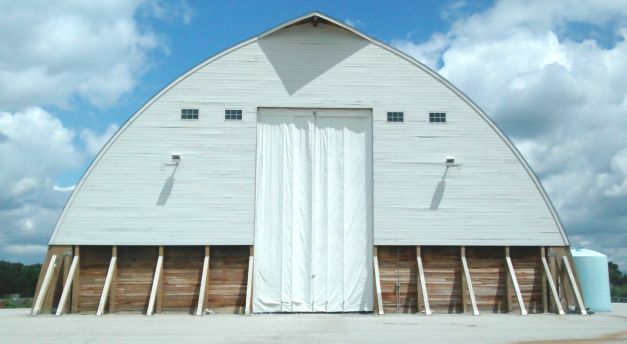 Help prevent salt loss due to weather exposure and protect your investment with this virtually maintenance free door. 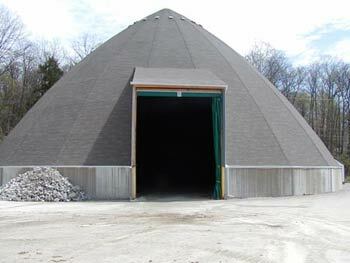 Learn more about the different types of salt storage doors we offer by calling us at (800) 701-4782. 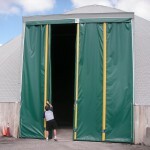 The Salt Storage Door is a custom manufactured to size door composed of 22 or optional 40 ounce mildew resistant vinyl. 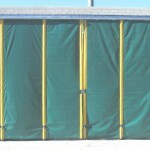 Our door operates on a track and trolley system for easy opening and closing. Pipe staffs some supplied with cane bolt locking pins for wind stability. 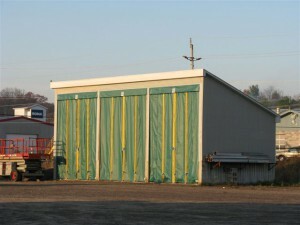 Salt storage doors are available in Header Mount and Wall Mount styles. 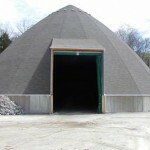 Request a quote for a salt storage door online today. 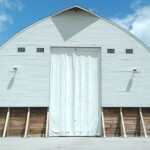 Vinyl salt storage doors are available for all your needs. Select screen and pipe staff pockets to match your building and company logo. Standard Colors: Forest Green, Blue, Black, Yellow (There is an up charge for non standard colors).